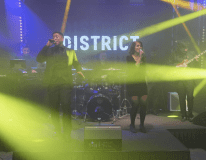 With an undeniable grit and groove, DISTRICT packs a serious punch. They are a group of 6 talented musicians that provide a unique wedding experience. 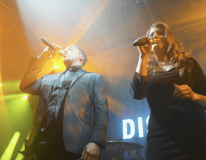 DISTRICT’s versatile musicians will have your guests dancing all night long. They don’t just play your playlist: they perform it. 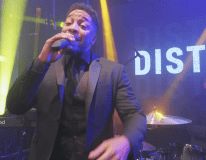 By traveling with a full time sound technician to perfect the levels, coupled with tasteful band lighting, DISTRICT delivers an interactive and energetic show to complete an epic event. 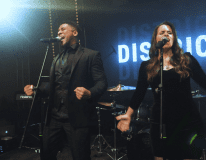 If you are between a DJ and a live band, why not combine the two and get the best of both worlds? EMG specializes in the band/DJ combo option. Whether taking turns or playing together, DISTRICT and the DJ will create specific arrangements to seamlessly transition into each other’s sets so that the dance floor never empties! DISTRICT is a rare combination of youth and experience. Their talent, creativity, and showmanship provide all the right elements to turn a memorable day into the party people can’t forget. DISTRICT can offer a variety of musical combinations for your on-site ceremony or cocktail hour. 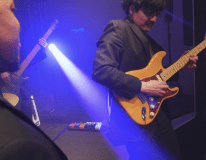 The bandleader has experience hosting events and will coordinate with your banquet manager and other vendors to provide a worry-free night. We will review all the details with you every step of the way! This includes the playlist, learning specialty songs, and any other details of the night. 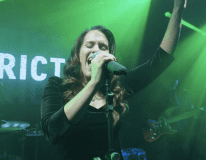 Register to come see DISTRICT at their next public showcase.